Angela's approach to Real Estate is to do everything possible to create a positive experience for buyers and sellers. Her superior knowledge of the process and in-depth knowledge of the Sacramento area creates client confidence - they know they're getting the most qualified agent who takes the time to listen and address their particular needs and concerns. Angela started her Real Estate career in 1999 and only 2 short years later was named to the Sacramento Association of Realtors' Masters Club. She has since attained the status of Outstanding Life Member, given to only a very small percentage of the Tri-County Realtors. Angela moved to California in 1996 and has been through the ups and downs of recent economies, helping sellers by negotiating short sales and working with buyers to hand them the keys to their dream homes. She is consistently a top producing agent for RE/MAX Gold. 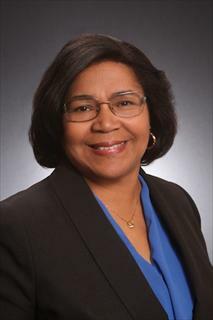 Her accomplishments include induction into the National Coalition of 100 Black Women, elected member to her personal Homeowners' Association Board of Directors. She's also walked a marathon in Kona, Hawaii, benefitting the American Stroke Association as well as mentoring foster girls to give them a sense of pride and direction for their future.